Jun 28 Swiss Healthcare Club (CHIC) Value-based Healthcare: a fad or miracle cure for systems globally? You are invited to an exciting INSEAD Swiss Healthcare Club evening conference in Lausanne on June 28, 2018. Value-based Healthcare: a fad or miracle cure for systems globally? It is just over a decade since Professor Porter and Professor Teisberg introduced the idea of Value-Base Healthcare (VBHC) in their book Redefining Healthcare. The aim of VBHC is to maximize value for patients, which is defined as “outcomes that matter to patients” divided by “total cost to deliver care”. VBHC aspires to be the strategy that will fix health care globally. In the meantime, many healthcare providers, payers & insurers, pharma and medtech sectors, with varying degrees of urgency and priority, have embarked on the journey to operationalize the VBHC principles, from re-organizing care around the patient and his disease, to systematic outcome and cost measurement, or bundled payments. Where are we 10 years later? AEVIS VICTORIA SA is an investment company specialised in services to people. Its main participation is Swiss Medical Network SA, the second-largest network of private hospitals in Switzerland, which Antoine Hubert founded in 2004. With its 16 medical facilities, Swiss Medical Network offers first-class hospital care to patients from Switzerland and abroad. 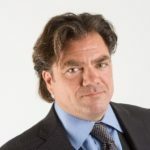 Prior to developing Swiss Medical Network, Antoine was mainly active in the property and real estate industry and has set up businesses and served as a director to several companies in various industries. Hans Middelhoven joined Roche early 2005 from The Lewin Group where he was a senior project manager in the field of pricing & market access. Since joining Roche, Hans has held various operational and strategic roles with increasing responsibility, both at local and global level. Today, Hans is Head of Innovative Pricing within the Global Pricing & Market Access department. Among the projects his group is leading are Personalised Reimbursement Models (PRM) and AccessLABs. More recently he co-initiated a project called Value-Based Health Care at Roche. He holds a PhD in Immunology from University of Amsterdam, and an MSc in Biotechnology from University of Groningen. 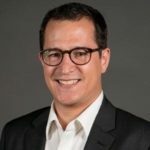 In his role as Managing Consultant, Laurent develops, pilots and scales services and solutions complementing Medtronic’s cardiovascular portfolio, including data analytics and benchmarking, pathway optimizations, digital health and IT enablement. He engages with leading hospitals across Europe to drive the VBHC agenda and principles. Prior to joining Medtronic, Laurent acted as Project Leader at the Boston Consulting Group Zurich Office, leading projects within the Healthcare Practice Area. Laurent is a trained Medical Doctor in the fields of General, Plastic and Reconstructive Surgery and holds an MBA from INSEAD.